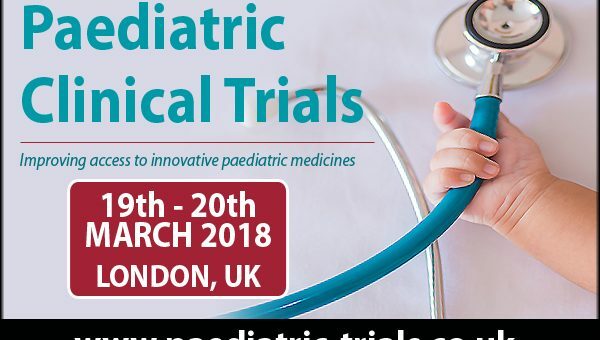 SMi is pleased to present the return of their 12th annual Paediatric Clinical Trials Conference taking place on 19th – 20th March 2018, London, UK. Clinical trials in paediatric populations still pose several challenges and often many studies remain un- published. 10 years on from the introduction of EU Paediatric Investigation Plans (PIPs) there are still many lessons to be learned about the planning and execution of trials which should be tailored around the needs of children. Recent advancements in immuno-oncology research has led to an increase in clinical trials to treat cancer in children and adolescents. Greater emphasis has also been placed on pain-free administration of drugs in the bid to increase vaccination uptake and access to medicines. Join us as we discuss current clinical trials and the innovative digital technology being used to improve clinical recruitment and retention as well as improve the quality of data being collected. leading industry experts will be looking at how to work within regulations and foster the involvement of young people in their care. We will also be looking at the planning and executing a paediatric clinical trial and the ways this can vary according to region. We will be exploring the complexities of paediatric drug formulation and helping you determine clinical endpoints. AstraZeneca will be reviewing and discussing paediatric clinical trial Legislation in the EU and US. There will be multiple pharmaceutical companies (UCB, Sanofi and GSK) debating scenarios where data extrapolation and government incentives might increase access to medicines in paediatric populations.